More than half the public disagree with official health guidelines on alcohol consumption, according to new figures released by the Campaign for Real Ale (CAMRA). Citing ‘decades of international scientific evidence showing that moderate drinking can play an important part in a healthy and happy lifestyle’ the campaign group would like to see that research reflected in a more grown-up approach to help adults understand the risks and benefits associated with drinking. Government guidelines were revised in January and are as follows. The government advises that if you drink alcohol, there’s no safe level. 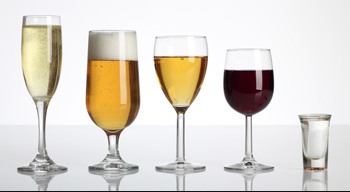 The Chief Medical Officer’s (CMO) alcohol unit guidelines say both men and women shouldn’t regularly drink more than 14 units a week. The more alcohol you drink the greater the risk to your short and long-term health. Saving up your weekly units so you can drink them all on a Friday night is not the way to interpret the government’s advice. If you do drink as much as 14 units a week it’s best to spread your intake evenly across the week. If you want to cut down your drinking the best way is to have several drink-free days a week.